...all with the touch of a button or using a smooth manual crank. We stand by our quality and technology. iShade offers a five year warranty n all products and accessories. 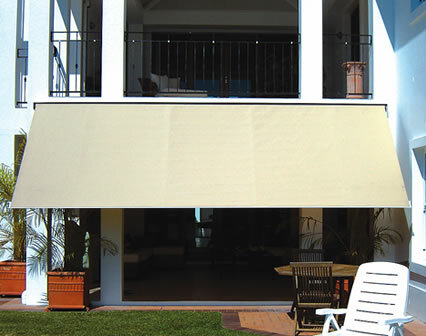 When combating low sun angles and strong winds, finding a shading solution can be difficult, but not with the Sunflex by iShade. 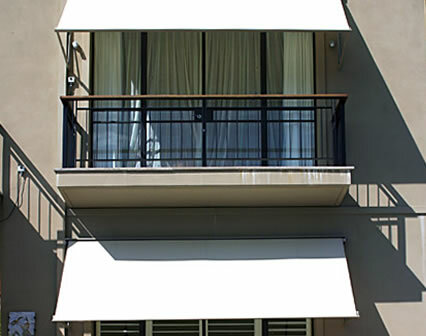 The Sunflex is a stylish and modern retractable drop arm awning suitable for verandas, doors and windows which are exposed to the heat of the sun. 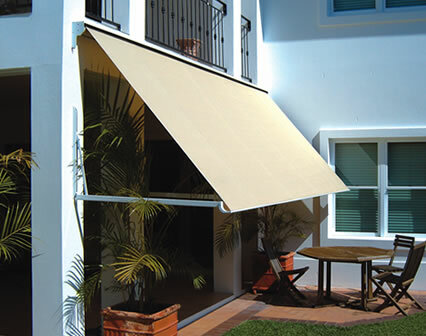 With its focus on design and style, the Sunflex uses the latest in sun shade technology to combine the best function and aesthetics for the ultimate shade solution. Combine this with a choice of motorised or manual retraction makes it an absolute pleasure to use. Enjoy the views outside during the best times of day and protect your furniture and interiors from the glare of UV rays when the sun is strongest. 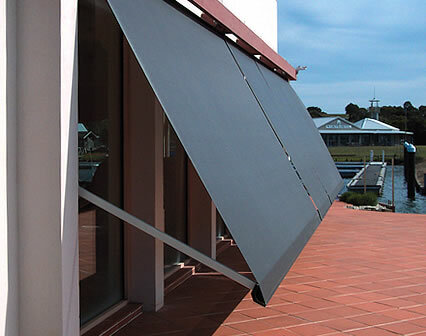 Built to withstand the wind, the Sunflex also allows your windows to be open while the shade is down, permitting natural light and fresh air in while keeping the heat out.